The Force Does Not Throw Dice: 1d100 Bounty Hunters! Hello and welcome again to The Force Does Not Throw Dice, our irregular feature devoted to the world of pen-and-paper roleplaying games set in the Star Wars galaxy. This time we have a slightly different treat to offer. For the past weeks I’ve been quite busy rediscovering a fantastic classic aventure called Tatooine Manhunt and writing a retrospective on it. During the research process, an idea came to me: a classic roleplaying article, the one you would find in fanzines back in the 1980s and that you can still find in several blogs around the Internet. I’m talking about a random table, on its most Gygaxian nature. In the following table, you are going to find one hundred bounty hunter concepts, ready for you to flesh out and use in your games. Use this table if you desperately need to give some character to a random bounty hunter encounter (something that happens often in Tatooine Manhunt), if your players have been naughty and you desperately need a hunter to set their sights on them, or if you simply want ideas. If you don’t have time to stat them out, don’t worry about it: use the stock bounty hunter stats you will find in the rulebooks, no matter the system. These descriptions are short and sweet, describing the general appearance and their weaponry, what usually makes a bounty hunter memorable; you are expected to flesh out the rest of the character, discard what you don’t like and change it to your liking. You might also want to use this table as a springboard of ideas for your fanfiction: feel free to do it! That’s the point. Welcome to another installment of The Force Does Not Throw Dice. This time, we are here with some advice for novice and veteran Game Masters alike. Because let’s be honest, sometimes you just have to run an adventure and just have no time to write any adventures. Thankfully, there’s a true and tried method called “The Five Room Dungeon” that can get you out of these sticky situations. Ah, the job of a Game Master: never an easy task and most of the time a thankless one, and that’s without accounting for the hours spent writing and getting everything ready for the game. Back when we were college kids, we had all the time in the world to create our worlds, our characters, and our adventures. Things, alas, change. Being a GM and a responsible adult at the same time is not an easy task. Your friends are coming over this weekend with some pretty awesome BBQ pizza and they are going to be expecting you to be ready to guide them through several hours of fun, excitement and laughter, but you just had the worst week ever at work, plus your newborn has been crying, and you’re doing your taxes and just came back from driving your oldest to band practice… Your friends are three hours away and you are looking at an empty page. You have run out of published adventures to run. Who’s going to help the GM in desperate need for some adventure? Welcome to The Force Does Not Throw Dice, a new series of articles where we are going to be exploring the fun world of playing and directing tabletop roleplaying games in the Galaxy Far, Far Away, and where we are planning to impart some sage advice and encouragement to both Game Masters and players. 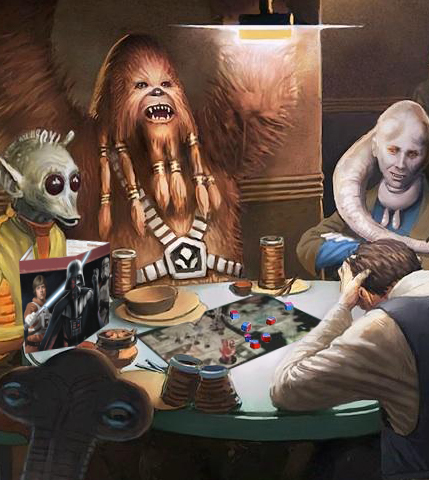 If you’ve never played a Star Wars RPG, keep reading all the same, for our first article is going to have a small discussion on setting and canon. What should the continuity in our campaign be like? Should we discard all official materials or should we try to choose between one of the official portrayals? Hello, I’m Dave and I’ve been directing games for more than twenty years! Playing in the Star Wars galaxy comes with a few constraints that playing in your own homebrew sci-fi setting doesn’t. First and foremost, there’s the metaplot: Luke Skywalker defeated Darth Vader and saved the galaxy, not your player characters. If you are playing tramp freighter spacers or bounty hunters, that’s probably okay with you, but many groups are used to a more heroic kind of roleplaying and find these restrictions completely unacceptable. 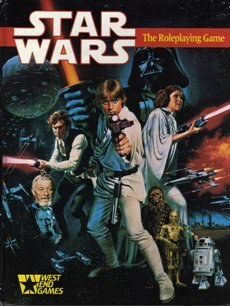 Many gaming groups sidestep this problem by setting their games in an alternate universe, one where their characters can fall in love with Leia and/or Han and be the ones to destroy the Death Star; some other gamers prefer to play Rosencrantz and Guildenstern and have their player characters have their adventures in the cracks of the saga (like, I dunno, being the ones to steal the Death Stars plans; hey, there were official precedents!). Some of this last kind of gamers even insist on making their adventures perfectly fit with the “canon” of the saga, bending themselves over to make sure the official word is respected no matter what. » Read more..